Very nice. 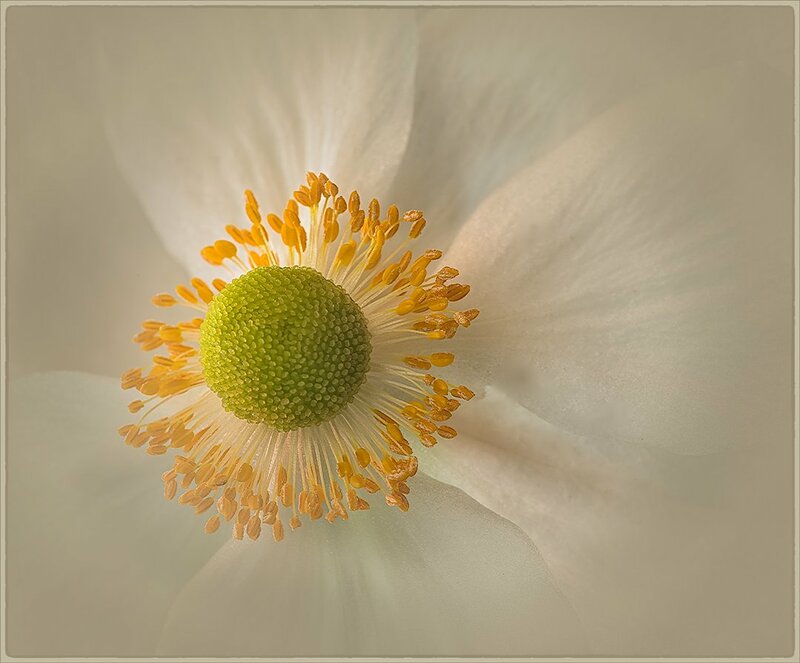 I like the soft edges and your choice of positioning the central part of the flower. A subtle but very 3d look here. I like it and think it would look good printed large. The leaves almost look like paper. The bulb (if that is the right terminology) is indeed placed very well. Decent shot. I like the placement overall.